Rent takes a big bite out of your paycheck each month, but the size of the bite depends on where you live. 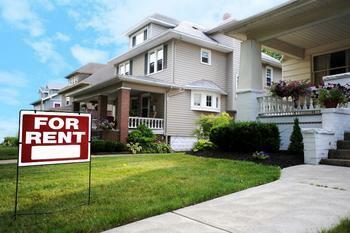 Where you live also determines what you get in return for that monthly rent check. The personal finance website GoBankingRates.com has analyzed U.S. cities, identifying where rents are cheapest or most expensive, and determining what amenities are most often included. As you might expect, the largest cities tend to be the most expensive, while medium sized cities in the south and Midwest are usually most affordable. The apartment guide focused on one-bedroom apartments, looking at median rent, average square footage, cost of basic utilities, and the walkability of neighborhoods. The analysis also identified the percentage of apartments in a given city that offered features like dishwashers, washer-dryer access, a pool, a fitness center, reserved parking, and pet accommodations. Wichita, Cleveland, and Detroit offered the lowest median rent, ranging from $470 to $550 a month. On the high end, a median one bedroom apartment in San Francisco goes for $3,600 a month, followed by San Jose and New York. Nationwide, the median rent for a one-bedroom apartment is $1,234. Cleveland, Omaha, and Anaheim apartments offer the most reserved parking. Apartment dwellers must usually fight for parking spaces in New York, Boston, and Chicago. If living space is important, you will get more for your money in Louisville, where the average square footage for a one-bedroom apartment is 807 square feet. Jacksonville and Atlanta also offer roomy one-bedroom apartments. Portland, Ore., holds the distinction of having the smallest living space – 461 square feet, on average. Milwaukee averages 495 square feet and Honolulu offers 539 square feet. Nationwide, the average one-bedroom apartment offers 678 square feet. Warm weather cities like Phoenix, Las Vegas, and San Antonio are most likely to have pools. Not surprisingly, Anchorage is the worst city for pools. Not a single apartment complex in the city offers one. Cameron Huddleston, Life & Money columnist for GOBankingRates, says high-priced markets generally offer less space and fewer amenities. "You're less likely to get amenities such as covered parking, a fitness center or even a dishwasher with an apartment in expensive areas such as Boston, Los Angeles, New York and San Francisco," she said. She says markets like Indianapolis, Louisville, and Virginia Beach have the best mix – apartments with ample space and affordable prices.